If you are looking for some of the best self-employment ideas, this is the article for you. How much faith do you have in the job market? Do you trust that you can get a job that’s going to keep you gainfully employed now and well into the future? Do you trust that the money you can make from a job is all you need in order to keep up with today’s ever increasing expenses? The answer to each of these questions is obviously in the negative! What we’re saying is that you need to seriously think about being self-employed, if not for any other reason than having more control over your financial future. Need help coming up with some idea in this regard? Well that’s what we’re here for. We’ve put together 28 of the best self-employment ideas people can use to be their own boss if they want. And don’t worry, the vast majority of these are ideas that virtually anyone can make use of. What if you are not an expert enough to create an informational product? First things first, before checking out these self employment ideas, here are some of the best online paid survey sites that can make you $5 to $50 daily just sharing your thoughts and opinions. 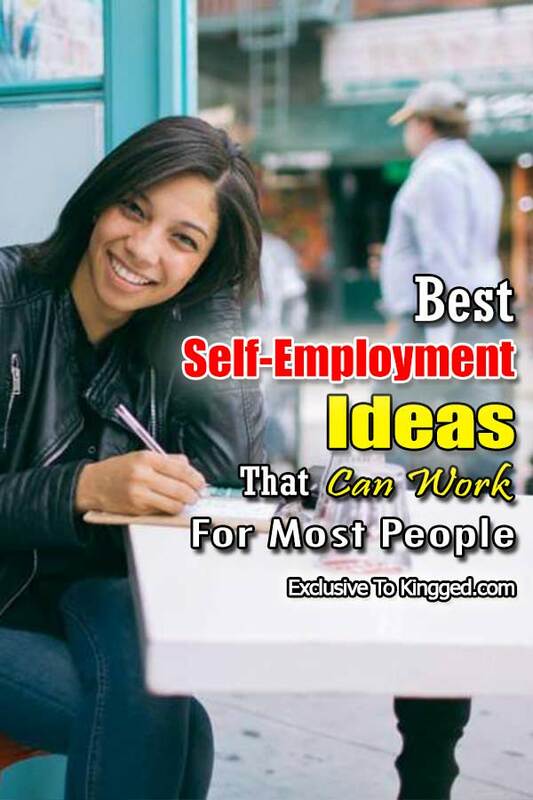 Below are some of the best self-employment ideas that can work for most people. If you have writing skills, you should definitely get into writing as a self employment idea. It’s easy to start writing for others and getting paid. And with the Internet, it’s very easy to get writing clients that are willing to pay well for your writing. To get the best from writing, make sure you have installed the best blogging apps and even the best writing apps on your mobile devices. This will make it easy for you to come up with writing ideas and even write when on the move. By the way, it’s not just writing content that can be turned into a business idea. You can also learn how to write a poem and turn that into a business, as you can indeed get paid to write poems. Blogging is easily one of the self-employment ideas that can be done by most people. It’s very easy to get into blogging, especially if you love to write. As a blogger, you work as a content creator who creates content for your blog or even other peoples’ blogs. In order to be successful at blogging you have to not only love to write, but you must be good at finding various ways to package your content as well as attract new eyeballs. This means being good at social media or at least knowing how to leverage your viewers so they can use their social media following to buildup your blog. Once you have a healthy amount of visitors you can then decide to sell ad space. You can also have a newsletter with further affiliate products and ads in it or do special promotions. There are various ways to monetize a blog. Creating information products seems to be something that people are intimidated by, but why? All you have to do is have the right system, the right approach. You find a problem, a really good one and then see if you can create an information product in order to help solve it. If you can do this, then you can be successful with info product creation if you know how to drive traffic, leverage organic traffic and build strategic partnerships. In fact, many of those looking for how to make money online have succeeded quicker with selling informational product than other types of online ventures. And that’s mostly because there are now many helpful websites out there that make it easy for just about anyone to create and sell their informational products. They even provide you with all the tools and help when it comes to actually creating your informational product. They even help you with the entire sales process – including getting interested customers, getting paid and even actual delivery after purchase. That’s always the doubt most people have when thinking of creating their own informational product as a self-employment idea. What’s true is that you, and most people thinking of self-employment, know more than many other people out there. And what you know is more than enough to be able to create your own informational product that can teach and help other people. So, no matter how little you think you know, you can help others with your knowledge and make money fast in the process. Of course you can always do a bit more research when creating your informational product, to make it a lot more helpful. Even just the research process that goes into creating an informational product is something others can’t do and are willing to pay for it to be done for and presented to them. The time it can take you to research and create the right informational product (combined with what you already know) is what people are paying for. If you still think you are not an expert enough to create and profit from your own informational product, then get THIS FREE BOOK. It’s titled “Experts Secrets” and can really help your or ANYONE turn their knowledge (no matter how insignificant they think that knowledge is) into big self-employment business. Danielle White was able to use what she learned from this free book to start a very profitable self-employment business in the hair care industry. Before Danielle read this free book she had assumed no one would regard her expertise in hair care, including expertise in aspects like how to buy and sell hair, the best hair products to use, etc. That led to the creation of her own info product, all thanks to what she learned from this Experts Secrets free book! Talking actual numbers, she was able to get as many as 147 students to pay and enroll in her informational product at a staggering $797 per student. Apart from this $117,159, she improved her business ideas for women and also got another 90 students who enrolled for her coaching program, after her informational product. Especially considering, like MOST women out there, Danielle had initially thought she didn’t know enough about her area of expertise to create an informational product around. Look around, when you see people walking around they have their heads buried in their smart phones. These people are addicted to social media. While some are looking for weird ways of making money like where and how to sell feet pictures, others are just doing fun things. So what if you could help them to get more followers and likes? What if you could help businesses build their social media presence and manage it? Becoming a social media consultant might be the perfect option if you’re someone who has a strong understanding of the different platforms out there and how to leverage them. Apart from helping businesses manage their social media platforms you can even make money on your own as an influencer, especially if you have a good number of followers yourself. This is what Instagram sponsorship is all about – people get paid by brands to post on their Instagram and other social media accounts. As you can see – there are ways to profit from all the time you spend on social media. Keep improving your social media knowledge and activity. It can turn into a lucrative self-employment business idea for you down the road, if it’s not already. Related: How To Get Paid To Post Ads and How To Get Paid To Watch Ads. Selling physical products on the internet is a model that works, but the idea of having to store and deliver the products you sell can be a real headache. The concept is simple, you purchase is one market or from one source and then sell it to someone else or in another market for a profit. With dropshipping you don’t have to carry anything. You sell what you want to sell and then it gets sent to the customer with your information on it. It’s a win win if done properly. With affiliate marketing all you need is a website and the right strategic partnerships in order to be successful. You need to understand whether or not you’ll be trying to drive traffic using free methods or by using paid methods. You’ll have to be good at product research as well as researching the needs of the people who are likely to buy. You’ll need to have an understanding of the psychology that goes into the buying process as well in order to create effective sales funnels and processes. With affiliate marketing, it pays to learn as much as you can about it all. The more you learn, the easier it is to succeed as a self-employed individual. One good thing about consulting is that virtually anyone can do it. In order to be a consultant all you need is specialized knowledge in some area. Virtually any field you can think of or any subject there’s likely consultants in it. Your knowledge not only has to be specialized, but you have to be well trained at presenting it to people in a way that they’ll be able to make sense of it and use it. You have to be skilled at helping people solve specific problems. You can use companies such as TaskRabbit to help you get paid work, but this doesn’t mean you have to limit yourself to them. Plus, platforms such as TaskRabbit are only available in specific cities. You decide for yourself the types of errands you’re willing to do or would prefer to do, then market your service on your own. Whether it’s helping someone look for money changer near them, helping people look for gas station for cheap gas, you can run different types of errands for people and get paid. It would be even better if you made an effort to appeal to distinct demographics who are more in need of help such as the senior citizen demographic. Selling on eBay isn’t the easiest thing to do, because these days there’s so much more competition on the market. Yes, there are methods you can use in order to research what’s selling and what’s not, but to succeed these days on eBay you have to have good sources in order to get products. If you find the right resources to get products, then you can make money by using eBay and leverage similar platforms in order to ensure you give yourself the best chance to move what you get. Our focus is to offer self-employment opportunities that anyone can do. Grocery shopping for other people is not only easy, but it can be enjoyable. This is different from mystery shopping in that you get to shop for others and get paid for that. The prerequisites are that you be someone who likes to shop, knows how to pay attention to instructions and has good organization skills. You’d also need a vehicle in order to get around in. 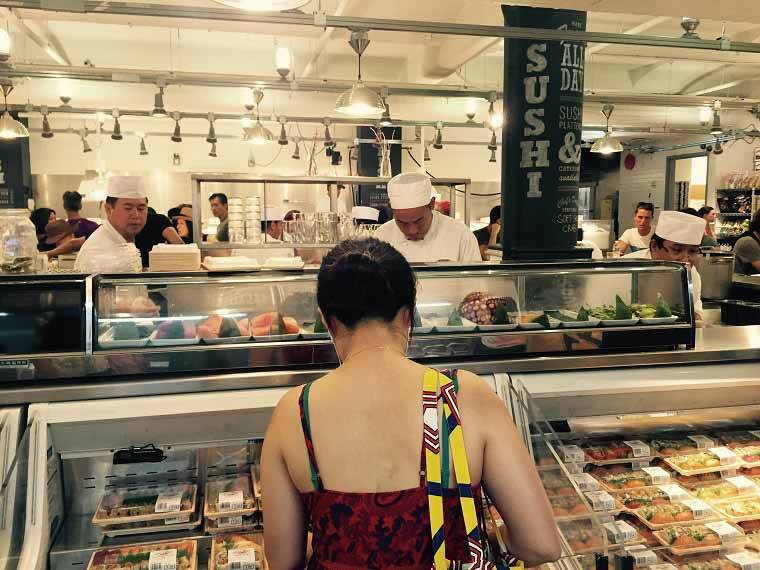 Grocery shopping for other people is simple and can definitely serve as a long term means of earning money. As a personal grocery shopper, you can do this as a self-employed business full time or even on the side. Organization is a skill, but it’s one that anyone can learn if they’re willing. The question is what type of organization do you want to do? It can be helping people to organize their house, their files, their finances, etc. As long as you had an effective system for doing this, then you can replicate it with other people. As long as your understanding of the system was strong enough, you could be flexible with it as needed as not to become too rigid. Here’s the key to making this work, you have to be able to create t-shirt designs that are going to appeal to specific people. The t-shirts you created would have to be focused on either expression or taking advantage of some popular/trendy subject at the moment. So you would have to keep a look out for what was hot and what was not. T-shirts in bulk are cheap to purchase. You can use a service such as Alibiba.com for this. Alibaba is one of the sites like Amazon that can be used for many different things, beyond just buying and selling regular products. The reason why we love talking about this one is because we know that it’s something not only lots of people can do, but there are lots of people who need the service. There are dog walking jobs apps that focus purely on this niche, but you don’t have to use them if you don’t want. You can have your own personal dog walking business that was centered on providing more of a personalized experienced. You’d also be able to charge more and build better relationships with customers. 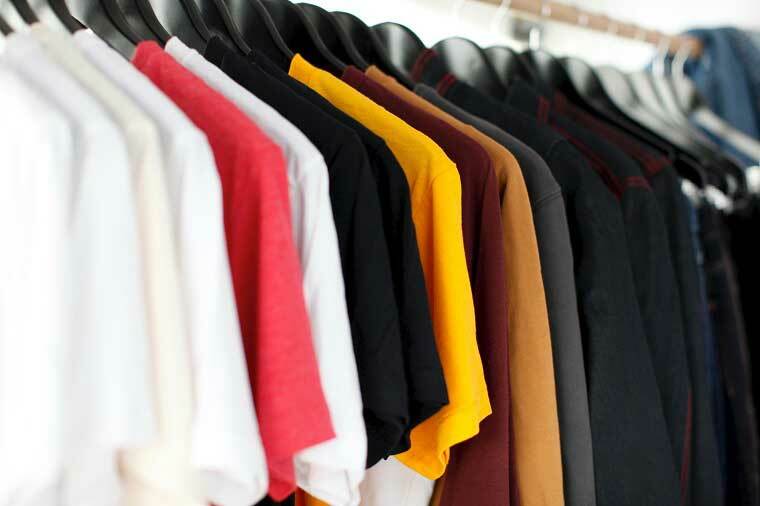 Selling used clothing can work if you know how to locate the types of clothing that people are willing to purchase used. You will be surprised how easy it can be to successfully sell used clothes online. In fact, many people are doing it and turning it into successful businesses buying and selling used clothes online. On top of this you’d have to be skilled at knowing where to sell them and how to get them for prices that ensure you can make a healthy profit. For example, if you’re able to find certain name brands for cheap and their used, then you can be sure it will sell using one of the many platforms online for reselling. The question is have you researched what type of price you might get and can you control the risk? This is a bit like selling shoes online. You can definitely turn either into a successful self-employment business if you want. Thankfully there are many places online to buy used clothes, shoes and other items for cheap and resell later for much more than you bought them. Watching other people’s pets can be tough, but if you have a way with animals then it might be a perfect self-employment idea for you. People are very particular about their pets and if they find someone that their pet seems to respond to well, then they’ll likely want to use your services again and again. Even better if you can offer additional value such as helping them to solve issues they may have with their pet. Thankfully there are now many cat sitting websites and pet care websites that really pay, as you can see when you click here. Are you good at preparing people’s taxes? Do you know what type of software to use in order to ensure you can get past any problem you might come across? Do you have access to different resources in order to help you be organized properly to handle multiple clients at once? Do you know the difference between hot penny stocks and what tax people should pay on such stocks? If you’re answer to most of these questions is yes, then you can prepare taxes for other people. Yes, there’s only certain times of the year when this is really lucrative, but if you develop a reputation for being good then you can get lots of clients and for better than average prices. Of course having the best investment apps and even best money saving apps can help you improve your financial mastery, which is very important for tax preparation. Yes, there are services that people can use in order to run a background check on anyone so why hire someone else to do it? Well, the process can be time consuming. Plus finding out specific information about someone might be tougher than just using different online services. If you enjoy digging up information on people and you can offer it in a way that’s going to make you unique, then this is the perfect self-employment business to get into. Don’t let anyone tell you that mail order is dead. It’s very much alive if you know how to do it. And of course it’s completely different from many of the stuffing envelope scams out there. Sure there’s a cost involved, such as needing to purchase postage and envelops. You’ll also need to use a lead service most likely in order to send your mail pieces to. A one percent response rate is all that’s required in order to make a lot of money in mail order, if you’re selling items at the right price of course relative to your overall expenses. Okay, not everyone can design websites, but we feel most people can do it. In fact, it’s one of the best computer jobs out there for people who love playing around with web designing tools. And if you can do it just good enough, then there’s a market out there that will pay for your services. Don’t let all the free website hosting services intimidate you. Yeah they offer easy to use templates and are very cheap, but some people if not most people are going to require more personalization. This is where you would come in. Generating leads is a valuable skill and anyone can do it if they’re willing to put in the effort. Generating leads is about collecting information about people who are interested in certain services or products. You can then resell these leads to either one source for a respectable sum based on what’s being sold or sell them to multiple sources for less. Depending on what the leads are for, the higher price overall you’d be able to charge. Car sales and various forms of insurance as super valuable. You’re going to need some money in order to rent space at a flea market and then you’ll need the right type of products to sell. Also called flea market flipping many people are getting into this and making a lot of money as self employed individuals. Every city in the country has flea markets and specific times of the week where people go to them. If you’re willing to take it seriously, research products and offer deals to people, then you’ll be surprised at how much money you can make doing this. YouTube and other popular video sharing platforms have created a market where people need high quality video editing done. People who rely on video for marketing purposes or to build a following make a ton of videos per month. Outsourcing the editing of these videos becomes essential and this is where you can build a business if you possess the right skills. First you’ll need to know what type of editing is needed, then you’ll have to make sure you have the right tools in order to do it efficiently. We want you to take a minute to think about anything you’ve ever fixed. Can you fix a computer? Is there anything that not only you’re good at fixing, but really enjoy the challenge of fixing? Getting into repair work will enable you to be in business for yourself and get a psychological kick out of solving tough problems. Selling crafts using platforms such as Etsy.com is a good way to make money, but you certainly shouldn’t limit yourself to them. There are a ton of other online platforms you can use. There are also other was you can make money with making crafts. For instance, you can personalize crafts for people in order to charge more. You can create crafts for specific purposes designed to be more promotional or maybe even inspirational. Have you ever bought something where there was assembly required? Even if it wasn’t that hard it might have been something you just didn’t want to deal with. Well if you’re good at assembling various items such as wood furniture, shelves, bunk beds and other things then you can make this a business. It isn’t the same as using an app such as TaskRabbit. You would make this your specialization and market it yourself in order to build your business. You need to own a truck in order to do this, but you can always decide to rent one if this is something you really want to get into. If you are looking for how to make money with a truck and trailer this is one of the best ways for sure. We’re talking about hauling items away. There are lots of people who have big and bulky items that they don’t have the means to get rid of. These are people who will happily pay someone else to take it away to the closet junkyard or wherever. Once again, this might not fall into the category of self-employment ideas anyone can do, but we believe it’s too good an opportunity to not have on the list. People purchase furniture, large flat screens and other big items from stores only to find out there is no delivery for them. You can offer to deliver these pieces from the store to their homes. This is a very particular business of course and in some cases you might require help to really make it work. This is is becoming one of the easiest self-employment ideas for those who have cars. Even if you don’t have a car, you can easily get one and start making money right afterwards. Driving for Uber or Lyft can be done by just anyone who can drive and is of age. And since Uber driver requirements can be easily met, it’s really easy to get started by just anyone. Some of the ideas we’ve talked about cost money to get into while others can be done either very cheap or free. It’s up to you to determine what you can see yourself doing not only long term, but doing very well as to continue to build your success with being self-employed.